Selling Your Film Outside the U.S.
At long last, an announcement on the new edition of our book. 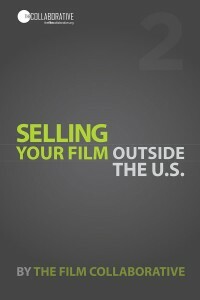 Selling Your Film Outside the U.S. is the second volume in the “Selling Your Film” case study book series. While our first book, Selling Your Film Without Selling Your Soul, focused on U.S releases and case studies, this volume takes a deep dive into digital distribution (and distribution generally) in Europe and provides several case studies of films released there. The series began in 2011 as an attempt to encourage transparency in an industry that has always been quite reluctant to do so. Three years later, we are proud to have led the charge towards this goal, and we are encouraged that others are embarking on other projects that attempt to do the same. Within the pages of this book, you will find marketing and crowdsourcing strategies, real distribution budgets, community building activities and detailed ancillary and digital distribution revenues for independently produced films. By stripping away the mythology surrounding independent film distribution, we aim to present a more realistic picture regarding how filmmakers can earn revenue—and when they cannot—from a variety of release strategies. While there is no one model that will work for a particular film, the books in this series highlight a multitude of new techniques filmmakers are using to directly connect their films with audiences, effectively reach them through the power of the global Internet, and build a sustainable fan base to last throughout a career. One of the chapters in this book employs the phrase “Carpe Diem.” In the context of digital distribution, this has dual meaning. First, in a harsh world that can tire of one thing and move onto the next in the blink of an eye, we encourage filmmakers to jump into action and formulate a viable and expedient distribution strategy as their films move from the festival circuit onto a larger arena. Second, the digital distribution space is a constantly changing one, where platforms come and go at an astonishing rate. Therefore, it is important that filmmakers not only empower themselves by learning how to navigate the landscape of digital distribution, but by keeping this knowledge up to date as well. To that aim, we offer Selling Your Film Outside the U.S.—containing chapters by The Film Collaborative co-executive directors Orly Ravid and Jeffrey Winter; marketing strategist and social media expert Sheri Candler; documentary filmmaker and independent film consultant Jon Reiss; and Wendy Bernfeld, managing director of the European content curation and licensing company Rights Stuff BV—as the starting point for any filmmaker (whether they are U.S.-based or not) who wishes to explore distributing their film in Europe. Now that the web is increasingly becoming populated with visual material, photos and short videos, it is especially important to have these elements as part of your ongoing presence online. As many of you are filmmakers, you probably have video and image editing knowledge, but I don’t often see it being utilized or at least not being utilized in a compelling way. The alternative to DIY editing, especially for trailers, teasers and short clips to populate video social channels, has been to take footage to a handful of expensive trailer houses and get them to put something together. Very often, it is well produced and way beyond the skill of the editor who is cutting the film. Not to knock the editing prowess of a feature film editor, but trailer editing is really a different beast for a different purpose. And it is MEGA important to have a great trailer! While looking around the internet for freelance trailer editors (in order to avoid a five figure cost found at most trailer houses), I came across a site called Videopixie that hopes to serve as the low cost alternative to video editing. 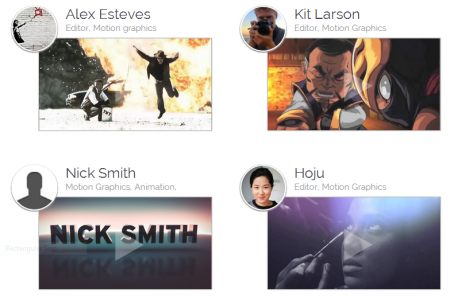 Not only is the site a community of freelance video editors who have VFX, motion graphics and animation skills as well, but they bid for your project and your satisfaction is guaranteed or your money back. I conducted an interview with Videopixie cofounder and COO, Thomas Escourrou, to find out more about how the site works, what kinds of work the editors have been doing, and how it would help lower budget filmmakers and film organizations who often shoot lots of video during their workshop and panel events, but fail to get it edited and put online. Check the interview out on The Film Collaborative site. Videopixie is also offering the first 100 TFC readers an incentive of $100 credit to use toward any new project. If you have raw digital footage that needs some affordable and expert editing, check out what Videopixie is offering. Do Film Festival Awards Matter? “There are three major ways that festival awards matter. 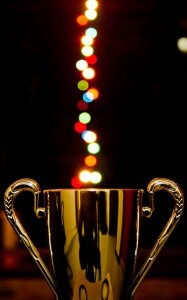 First of all, an award distinguishes a film from the glut of available titles at any given festival. Meaning, if you are the kind of person (industry buyer, press, or consumer) who is paying attention to a particular festival, then of course one easy way to determine what to see is by starting with the winners. I think this is particularly true for other film festival programmers, who face the daunting task of pouring through thousands of available titles and submissions to their festival. Secondly, discerning film consumers looking to discover new films to watch pay attention to the films that are winning the awards. I think the right festival awards have tremendous marketing value…but only for the discerning consumer. “The most reliable audience for any film that doesn’t have a major studio marketing budget is the art film audience, which is entirely dependent on reviews and word of mouth to get their attention. Film festivals offer a way to gather awards and quotes that elevate the profile and perceived quality of a film for that audience and therefore do make a difference. For the full article, visit MovieMaker Magazine. 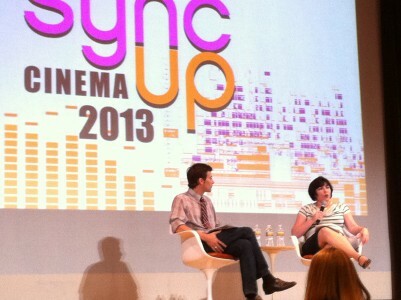 As you know from last week’s post, I took part in the Sync Up Cinema event hosted by NOVAC at the New Orleans Museum of Art. I saw a video camera in the audience and was told a video of my conversation with Clint Bowie, Program Director for the New Orleans Film Society, would be uploaded online. I will post that when it happens, BUT there were many things I was prepared to talk about and didn’t get a chance to say. I made notes to prepare for the night, so I thought I would share those notes with you here on the blog. I was given an idea of the questions we would cover ahead of time, so I have included those with the notes. How can filmmakers change their mindset to one of building and engaging their own audience and how does digital technology play into this? How do you help filmmakers brand themselves rather than simply branding their projects so that they can move seamlessly from project to project without reupping every time? Is this something that is for “name directors only”. SC: “Name directors would have an easier time connecting to an audience because their names are already recognizable, but the majority don’t do it and that is detrimental for their continuing careers. They think the world where you can be removed and other people will just take care of audience attention for you will continue to exist. It won’t. Indeed, it is rude and selfish now to not be available. Branding yourself simply means figuring out what you stand for, what your identity is. It isn’t a logo, it isn’t an image or a persona. It is who you really are as an artist. That identity does not radically change for most people. Independent artists in particular have a unique perspective. If they didn’t have a somewhat unique vision, they would be selling insurance or working in a bank. Working in some nondescript job. They yearn to share their unique perspective with the world and they do it through images, stories. Social media, really the web in general, should be a place where they can thrive because it is full of stories and images! Cory Doctorow and Neil Gaiman speak about artists being like dandelions. Instead of “giving birth” to only a few “babies” in a lifetime, artists should be creating all the time and putting their “seeds” out into the world. Some work will thrive and gather attention. Some work will die quickly, not be prosperous. Dandelions don’t care about their offspring, they just create. Sometimes their offspring live and sometimes they don’t. The internet is a place to create lots of little experiments and some will work wonderfully and some will not. Keep creating and try to make great work. That’s how you build your brand. That’s how you build a sustainable audience. Not by hoping to be picked up by the industry for a few of your offspring. It’s an audience for that one film, then you have to start over again. Your seeds can be blog posts or tweets or Facebook posts or Instagram photos. Something small every day. This is the most basic thing to understand about brand building. All the digital tools and the metrics and the sales numbers, those are all byproducts of this basic understanding. Be open, create great work, connect it with people. If you don’t do those 3 things, the rest of this doesn’t work. How do you work with filmmakers in terms of festival strategy? SC: “Here is my strategy. If your film gets its premiere in a life changing festival, of which there are only a handful in the world, then that affects your distribution strategy. My colleague, Jeffrey Winter who handles all festival distribution for The Film Collaborative would call these IMPACT FESTIVALS. He says an impact festival must offer at least 2 of these 3 things. -Industry exposure which is what leads to a sale or a career launch. -Press exposure to multiple major publications/media. -Exposure to other festival programmers who will then invite your film to their festivals. If a festival you are considering isn’t offering those things, then it is not an impact festival. There are also impact festivals within a niche like women’s film festivals, environmental festivals, Jewish festivals etc. If you cannot get into an impact festival, then the marketing and distribution strategy stays as it was in the M&D plan. Which means you have to have one from the start. If an impact festival premiere doesn’t happen, you need to plan your own impact premiere. To me, the festival circuit is a theatrical release circuit with no revenue prospects, but far fewer costs than a conventional theatrical release. Unless you can get a screening fee, which is only possible in a few certain circumstances, then use a festival to do one night event screenings along with a service like Tugg or Gathr or community screenings where either a license fee is paid, or you are getting a significant cut of the ticket sales. Discuss festival darlings vs films that will be picked up and how to know what kind of film you have. Is it a festival film at all or something that should go to market or be self distributed. SC: “A festival darling gets that way from being accepted into an impact festival. Also, festival darlings will go on to play many other festivals, Jeffrey says at least 50 and they should be collecting screening fees with that so it becomes a source of revenue. Those films get picked up first. If you mean a festival darling because it plays every little regional fest and stays on the circuit for over a year with no other distribution happening, it isn’t really a darling. It really means it doesn’t know what its doing. There are elements that will help your film be a festival darling though..
-Name connections. I don’t mean name actors necessarily, but it never hurts . Is your producer connected? Is your director connected? Are you working with a sales agent? -A lab program that is connected to prestige fests. Have you gone through labs with Sundance, IFP, Film Independent, San Francisco Film Society? -A grant or funding organization like Cinereach on your side. Have you won a grant from a large film fund like Tribeca’s partnership with Ford Foundation? BritDoc Bertha Fund? Chicken and Egg? These organizations are filled with connected people who can pull some strings for your film if they think it is strong. -A short film that is an alum of an impact festival. Impact fests love to champion their alumni filmmakers. Festival programmers are tied into these networks and they ask ‘Is there anything out there I should be looking at?’ This is not blind submission territory. Anything they can do to wade through the pile of DVDs or online screeners to find the good stuff is welcome news to them. This is about getting to the upper end of the pile. Your film will be evaluated at a higher level. These connections change what is possible for your film. If you haven’t got these connections, either GET them or be realistic about your prospects. You will be looking at your direct distribution options a lot more closely than a film with connections. I still think a film with connections is going to have to build an audience though. Not all Sundance films get a pick up or get picked up and given meaningful release. Sundance didn’t create their Artists Services Program because they think all of their alumni will be given stellar releases. They created it because they know not all will and they can offer help to those willing to work. And while they do what they can to champion those alumni films, most still do not succeed because the filmmaker was ill prepared, budgeted no money for marketing and distribution and truthfully, some simply waited too long after their premiere to take advantage of the gift they were given in having that kind of premiere. That level of media buzz is not often recreated 2 years after the festival. I am much more interested in seeing people like Shane Carruth, James Swirsky and Lisanne Pajot, Thomas Woodrow, Ava Duvernay, Tiffany Shlain, all leaping out of Sundance with their own path than the ones who are waiting around for their sales agent to work a miracle for them. They prepared their marketing and distribution plans, they went to Sundance with it under their arms and laying the groundwork ahead of time with audience building and they were in a great position to say whether they would take offers or not. They didn’t HAVE to do it. Distribution – What are some concerns filmmakers need to have in terms of their distribution strategy and how production budgets are tied into this. How should filmmakers determine if and what sales markets can bear films like theirs. SC: “For sure you should be working with a legal advisor who is looking out for YOUR interests. This is not necessarily a sales agent whose commission is based on your signing an agreement. On The Film Collaborative site we just published a guest post by a filmmaker who had to take his sales agent to arbitration and what a nightmare it was because of the agreement they signed. Use an entertainment attorney who works with independents, not just studios and distributors and is truly looking out for your interests first. As far as budgets, marketing and distribution expenses are not part of your production budget, they are a separate section. They are part of your overall business plan budget. In any other business, marketing expenses are just part of doing business, in addition to creating the product. But they haven’t been a concern to filmmakers and investors in the independent film sector, strangely. That has to change. I recently talked on Film Courage about needing a 10% budget minimum …but really if you desperately want a theatrical release or you are contractually obligated to have one and you may be paying for it yourself, you need about $50K just for that. You’ll most likely need a booker which costs about $10K, you’ll have to 4 wall for a week in NYC, San Francisco and a few other cities first so the booker can make a case for why cinemas should book your film, that will cost about $20K. You’ll need to hire a national publicist to get you the important New York Times review as well as other major publications because without those, why are you showing theatrically at all? That will run about $7K or more. You’ll need someone working online outreach probably on a full time basis and that will run about $7K. You’ll need materials like Blu Rays, DCP, trailer, poster, shipping costs, printing costs and some advertising. That will take you up to about $50K for a very small theatrical run. Then if you are going to go ahead and direct distribute via digital platforms, if you work with a Gravitas, they will charge about $10K for encoding your film and getting it onto Cable VOD services. You will pay about $1500 to encode for iTunes and you need to have closed captioning and maybe subtitling which will run you about $1000 each for that. If you want it on iTunes in Australia, New Zealand and a few European countries, you’ll now need to have the film rated by the ratings board. They charge per minute on the film with an average cost of $2300 for Australia alone. But if you have an impact festival premiere, great reviews, lots of buzz going on the film, you may not need to 4 wall so you can reduce that theatrical cost significantly. You still won’t make money on it, but it won’t cost too much either. Sales markets are best handled by sales agents. If you want your film to be available at a market, I am assuming you mean for foreign sales, you are better off having someone whose whole job is devoted to buyers and markets handle your film there. What is the average in terms of indie distribution. We hear a lot of success stories about foreign markets, but that isn’t necessarily the average. SC: “First, there is no average for advances. It is totally dependent on what kind of film you have and its pedigree. Foreign market for the average American independent film is close to zero. I think the successful foreign sales you are hearing about are for the bigger budget, well known actor films. Presales are highly dependent on cast so if you don’t have A list or close to it in your film, you aren’t looking at presales. Yes, plenty of people are still talking about foreign presales, but ask them for examples. You’ll see they are talking about Hollywood level cast. But say that you do want to see what your prospects are for foreign sales? I do suggest you get a foreign sales agent because they know who the territory distributors are. They deal with them all the time and they can be more effective at collecting money from them than you can. They license films to territory distributors in different countries. Territory distributors acquire rights to exhibit a film, show it on TV, use digital platforms within their territory. These territory distributors find out about films from film markets such as Cannes, Berlin, Asian Film Market and American Film Market and TV markets such as Mip, also in Cannes. Cast involved in these films (Robert DeNiro, Bradley Cooper, Jennifer Lawrence, Frances McDormand, Bill Murray, Edward Norton, Bruce Willis, Emma Watson, Dylan McDermott) Typical American indie film does not have this cast. So what is an average advance in terms of domestic indie distribution? Very hard to say. Depends on the buzz coming off of it and what time of year the film sells. There were some strong sales at Sundance this year, Sundance being the beginning of the year. The Way, Way Back sold for $10 mil and will be released in July (fitting for a movie about working a summer job in a water park) and got only a C+ out of Indiewire. It has Toni Collette, Steve Carrell and Sam Rockwell in it. Don Juan’s Addiction sold for $4 mil with a $25mil marketing spend guarantee on 2000 screens out of Relativity Media. It will need to gross about $35mil to just recoup. I have no idea if that MG paid for the production budget. It is a Joseph Gordon Levitt, Scarlett Johansson, Julianne Moore film. Some of the smaller films like Fruitvale Station (around $2mil to Weinstein, playing Cannes), Concussion (around $1mil, Radius-TWC), The Spectacular Now (around $1mil, A24) S-VHS (around $1mil, Magnolia), Ain’t Them Bodies Saints (around $1mil, IFC also playing in Cannes). Many of these are already getting screening fee revenue out of other festivals that have programmed them. Compare this with Toronto purchases, one of the last buyer festivals before the end of the year. The Place Beyond the Pines was picked up for under $3mil by Focus Features, but the production budget was $15mil. It was just released March 29, already hitting $12mil and most of that is foreign. Stars Ryan Gosling and Bradley Cooper. I think they’ll be all right eventually, but Focus recoups and profits first, not the film’s investors. What Maisie Knew went for $2mil to Millenium Entertainment, which is now for sale. It is set to go into theatrical release tomorrow. Stars Alexander Skarsgard and Julianne Moore. Lionsgate and Roadside Attractions bought a trio of films for a grand total of $5mil. Thanks for Sharing, Imogene and Joss Whedon’s Much Ado About Nothing. I’m thinking the total production budgets for those films were a lot higher! SXSW sales have been slow. Cheap Thrills sold to Drafthouse for low-mid six figures which probably means $200K and a promise of theatrical and VOD/digital. Holy Ghost People sold to XLrator Media for an undisclosed amount. Joe Swanberg’s Drinking Buddies has some high profile actors like Ron Livingston, Olivia Wilde and Anna Kendrick and was picked up by Magnolia, again no amount disclosed. Doc Good Ol’ Freda just sold to Magnolia and they say it will get a theatrical, again no amount disclosed. Usually Magnolia does Day and Date releases. These are some of the top festivals for sales, the rest of the festivals are just exhibition exercises that you are hopefully using to launch into digital release. Hey, distributors do this too. Often even if a film will have a limited theatrical, it will still use the festival circuit as an exhibition space. But the difference is, those films will get screening fees. But then you have films like Euphonia which premiered at SXSW and then went online for free. It was a no budget (or no one is getting paid back) film, 54 minutes long so really not programmable in many places as far as festivals, broadcast, theatrical. It doesn’t have sales prospects and the filmmakers didn’t care. They are newbies, put their film on Vimeo just so people would see it without a money barrier. That isn’t wrong. Their goal is just getting people to see it. They may accomplish that goal. Numbers, everyone likes to know those and yet, we don’t. I would like to call on industry to start divulging more. Filmmakers start divulging more. We did this in our book Selling Your Film Without Selling Your Soul and it was difficult to get at them. A few filmmakers dropped out when they heard what info we wanted because they didn’t want to share that info. So you can’t complain about not knowing if you aren’t willing to share. Also, it is contractually agreed not to divulge numbers, keep everything private. We can know box office numbers, we can know DVD sales numbers, but so far there is no public database for digital numbers. According to Gravitas Ventures’ Nolan Gallagher ‘When an independent film opens in four theaters in New York and Los Angeles—and those four theaters report $10,000 each for box office earnings—that’s a very easy amount of information to compile and publicize. But with VOD, we’re talking about over 100 different operators, each with its own way of compiling and disseminating information.’ Still statements and checks are sent to rights holders so a figure is obtained. We know, based on self released numbers by Lionsgate/Roadside that Richard Gere’s Arbitrage which had a concurrent theatrical and VOD release took in about $11 million in VOD/digital sales and over $7.5 million in ticket sales. The distribution company paid $2.1 million to acquire domestic rights out of Sundance Film Festival, and Roadside spent about $2.5 million promoting the theatrical debut. Marketing expenses for the VOD were reportedly only a few hundred thousand. Margin Call with Kevin Spacey and Jeremy Irons had VOD sales of about $6 million and grossed $5.4 million in theaters. Also released by Lionsgate/Roadside. Bachelorette grossed $5.5 million on VOD but took in $448,000 theatrically. Released by Radius TWC. Kirsten Dunst, Isla Fisher and Rebel Wilson star. Where did all of those films come from?? Sundance! But know this. It is nearly impossible to attract significant VOD revenue without a star driven film!! And sometimes stars want a theatrical guarantee, or their agents do. A couple of more realistic indie film case studies that worked with Gravitas Ventures. The Truth-made for a reported $500K, starring John Heard, Brendan Sexton III, Daniel Baldwin, Erin Cardillo. Made $ 75K in an advance from Netflix. It is a thriller. As soon as the video of what we did actually talk about that night is available, I will post it here, tweet it, put it on my Facebook page and in my G+ community. Next up for me in June, an Amsterdam workshop with the Binger Lab and Sheffield DocFest in the UK. If you’ll be in either of these places, give me a shout! Check out the full interview, including how Michelle attracted Desperate Housewives star Andrea Bowen to the project and how Lifetime promoted the film to boost it to its highest ratings in 2012. How do you attract sponsors to your film project? As stated in the last post, Jon Reiss and I (and Orly Ravid joined us for a bit) were recently part of a weeklong discussion on the D Word site about marketing and distributing documentaries. One of the questions came from a woman who asked about attracting sponsorship to a film project. She asked, “would you talk about some of the particulars of sponsorship in your case [with our book], and what process you went through to develop those sponsors?” I was also prompted to write about this after receiving a message via Linkedin from a connection who wanted me to send him my contact list of sponsors so he could use it for his project. I’m not too prone to turning over my list of contacts, but anyone can find them online. Just look at our list of sponsors in the free pdf copy, Google their websites and hit the Contact button. So, about attracting sponsors. First you have to determine what are you really offering a sponsor. I don’t mean logo space on your website or key art, inclusion in your credit roll, or pre or post roll ad space. If you don’t have a large amount of web traffic, there is no pre sale in place guaranteeing your film is going to be widely distributed and you can’t demonstrate that a lot of publicity that is beneficial to the sponsor will be generated by your film’s release, it is going to be very difficult to get money out of a sponsor. They can buy targeted media space on well established outlets with a better guarantee of their brand being seen. So really think about this before you send out proposals to sponsors offering logo space on your website as something worthy of spending thousands of dollars of their marketing budget on. Regarding how we did it for our book , first The Film Collaborative‘s Orly Ravid and Jeffrey Winter are well known in the industry, especially among distributors and festivals so we knew we would have some support with spreading the word about the book through Sundance, AFI Fest, Palm Springs International, Los Angeles Film Festival, some European festivals like Sheffield Docfest, some LGBT festivals like Frameline and Outfest and we all have contacts at bigger print media like IndieWire, Screen International, Variety (who wouldn’t cover us it turns out), Filmmaker Magazine plus well known indie film bloggers like No Film School, Filmmaking Stuff and Film Directing Tips . Then we have Jon Reiss who is a teacher, a filmmaker, an author and has many personal connections, his own fan base as well as industry connections at CalArts and IFP that he can call on to spread the word. And then there’s me and some people know me and when I ask them to help me, they do. Those people are all over the world and mostly on Twitter and Facebook so that helps. We all also do a lot of public speaking on panels, workshops, keynote addresses. The more visibly we are promoting the book, the more attention it gets. We took these media contact names and their website traffic stats and festival names that are our connections and combined them with the well known (in indie film circles) brands of all of the authors and put them in a sponsorship deck that outlined what the book was going to be, who exactly it was written for, how we planned to reach those people, how the book would be distributed and how much coverage we were likely to get through our efforts and we chose sponsorship levels of support and the benefits associated with each level. We knew how much we needed to raise in basic development costs (because initially the book would only be digital) and later printing costs when we decided to print. We didn’t take into account our own fees for writing, that was gravy if we raised more than the development costs (we did end up with money for writing fees). But what one needs to make off of sponsorship is beside the point to potential sponsors. 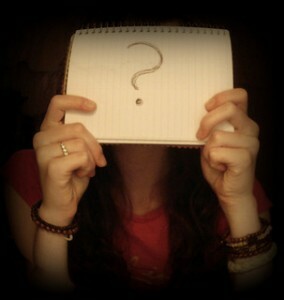 They want to know how their objectives are going to be reached through sponsoring your project. When we sent out the deck to the sponsors, we crafted a letter that addressed why we thought their involvement would be beneficial to them. Knowing we were going to be launching at a large, annual event targeted at independent filmmakers helped our efforts because it wasn’t just a book launch into the market, it was coupled with a larger event with more media coverage which is valuable to a sponsor. Next, we made lists of what companies we knew, who knew us and what we stood for and how we are known, and we sent them the sponsorship proposals. We also sent proposals to any company looking to reach the audience we would be targeting. At the end of the day, only the companies we had direct relationships with actually supported us. Even though many others showed interest, ultimately those companies didn’t pony up. Since the book has been widely distributed for free and self published (so we hold all the rights and can do whatever we want with the book), we have had inquiries after we released about wanting to sponsor it and we will follow up to see where the fit is. We can’t put their ad in the printed copy for this printing obviously and we won’t be taking down the digital editions on Amazon or iTunes any time soon because it is a bit of a pain in the head process, but we have a website that can be sponsored, we have an active blog, we have a newsletter, we appear in person where we give shoutouts to our sponsors (by the way they are Prescreen, Area23a Movie Events, Dynamo Player, Gravitas Ventures, Topspin Media, SnagFilms, EggUp and other media sponsors listed on our website and in the copies of the book) so there are other opportunities for sponsors if they want to become involved. It was also important to us and to our sponsors, that a version be available for free. Why? Free makes downloading the book a no brainer and the more downloads we have, the more the sponsors’ messages spread. Also, TFC is a non profit (on purpose!) entity and part of their mandate is devoted to education. This book is an educational resource and we wanted all filmmakers to be able to have the knowledge. We also wanted to get as much attention for the filmmakers who participated in the book as we could. Wins for all involved! In my chapter of the book, I take a look at people distributing their work for free in order to serve a goal. It might be name recognition, building a following for subsequent work, raising funding (crowdfunding) or in the case of Nina Paley’s Sita Sings the Blues, distributing her film for free and making money with other things. You don’t use free to keep working for free. You use free to serve a purpose to something else that will get you paid and there needs to be a plan in place for getting that. In our case, we had sponsorship that allowed us to make money before even one copy of the book was sold. Free served the purpose of getting more eyeballs for the sponsors, more attention for the authors, building up a bigger base of loyal filmmaker fans, those fans turn to us when they need to hire someone to help. Free is a means to another revenue stream. Those in the film business do A LOT of work for free but it has to have a defined purpose, a way to make money somewhere. There is no strategy to throwing up a film on Youtube for free. One has to determine what the strategy behind free is, what purpose is it ultimately going to serve? There has to be more revenue streams set up besides just making money selling copies of your film. There must be other filmmakers out there who have successfully found sponsors. I welcome anyone who wants to share that information with us.